Another day, another news story about a video game being turned into a movie. The latest story concerning this phenomenon is a little more positive, however, as it looks as though the movie in question might actually be rather good. It has a trailer and everything! 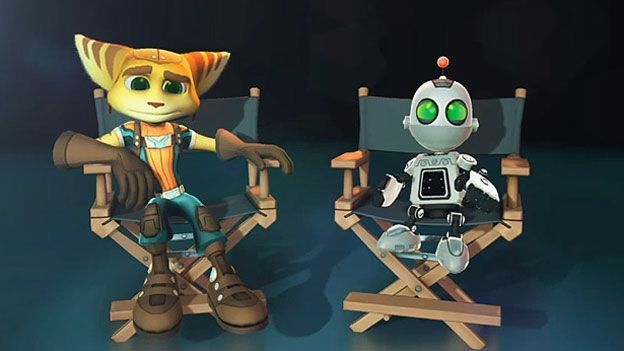 It looks as though the Ratchet & Clank - gaming's most beloved space raccoon adventurer and his robotic sidekick - are destined to appear on the silver screen within the next couple of years. According to the press release accompanying the release of the trailer, the film's story sees the pair of them pitted against "a vile alien named Chairman Drek" who apparently wants to destroy every planet in the Solana Galaxy. The film is a joint venture involving Rainmaker Entertainment - who made Escape From Planet Earth - and Blockade Entertainment. Insomniac Games, the developer behind the Ratchet & Clank games series is also involved; Senior Writer TJ Fixman is apparently in charge of penning the script. In a post on PlayStation's official blog, Insomniac's Senior Community Manager, James Stevenson wrote: "Insomniac is honored to play a hands-on role with the film's production, screenplay, character development, and animation consulting." "There will be much to come on the Ratchet & Clank movie as we get farther into production and closer to its release," he added.